While close to 80% of Vermont is forested, certain data suggest that forest cover is actually declining. Development is responsible for this trend, and forests are becoming increasingly fragmented across Vermont. Fragmentation usually starts with subdivision, the division of a parcel into two or more smaller lots. The result is usually an increase in the number of parcel owners, which can lead to new housing and infrastructure development (roads, septic, utility lines, etc.). When this development occurs, it fragments the landscape and diminishes the economic and ecological viability of forests. In Phase II of a continued study and with support from the Northeastern States Research Cooperative (NSRC), investigators with the Vermont Natural Resources Council (VNRC) scrutinized the relationship of subdivision and land use change between 2002 and 2010 in fourteen towns in Vermont. They worked in the towns of Bolton, Brandon, Dorset, Fayston, Hardwick, Huntington, Jericho, Marlboro, Monkton, Morristown, Richmond, Shrewsbury, Tinmouth, and West Windsor. During Phase I of the study completed in 2010, the VNRC investigators analyzed eight Vermont towns that included: Bennington, Calais, Elmore, Fletcher, Hinesburg, Middlesex, Norwich, and Stowe. Led by VNRC Forest and Wildlife Program Director Jamey Fidel, the team compiled a comprehensive, publicly available report with conclusions about effective and problematic zoning approaches for maintaining viable tracts of forestland. When asked about subdivision, many Vermonters may say that subdivision is only a problem in more highly populated Chittenden County, but VNRC research in 22 towns in 10 counties shows that subdivision is a widespread phenomenon. Their findings demonstrate that a majority of subdivision activity (typically projects resulting in about 2-4 lots) is not being reviewed by Act 250, Vermont’s development review law, in a significant way. In this case, local municipalities must shape subdivision through local regulations, but not all towns in Vermont have subdivision and zoning regulations. While subdivision is creating more parcels that are eligible to be enrolled in Vermont’s Current Use Value Appraisal Program, which provides tax incentive to keep land productive and undeveloped, the overall amount of acreage eligible for enrollment is actually decreasing. Subdivision is creating smaller parcels that fall below the Program’s eligibility threshold, resulting in more land that is at an increased risk of being developed. Since the majority of subdivisions in the study occurred in rural residential zoning districts, natural resource features such as intact wildlife habitat blocks are more vulnerable to impacts from development if towns do not have adequate resource protection standards in these districts. For example, between 50% and 68.8% of the acreage subdivided during 2002-2010 in four Phase II communities was located within wildlife habitat blocks causing habitat to be increasingly fragmented. Municipalities should focus on developing effective strategies for reducing fragmentation in these districts. Investigators found that conservation-oriented zoning districts appear to be effective in controlling subdivision patterns, in part because of their standards and partly because the land included may be less suitable for development. Since these districts often provide an elevated level of protection for a community’s natural resources, they should be considered a valuable tool in the planning process. 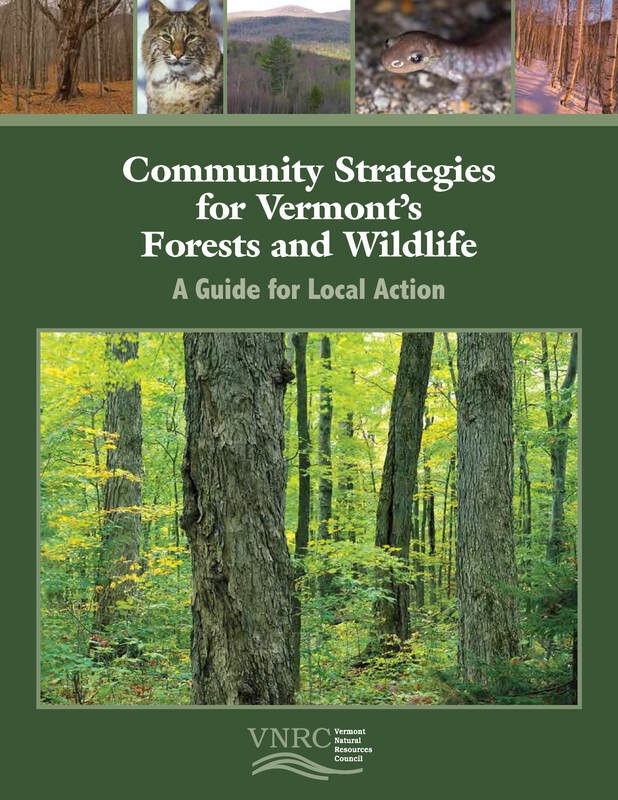 In coordination with regional and local planning entities, researchers created an engaging technical assistance manual outlining regulatory and non-regulatory strategies, an online community planning toolkit, and a forest fragmentation action plan, all available on the Vermont Natural Resources Council website. These materials should help inform Vermont communities, planners, and landowners as they grapple with development pressure on forestland.